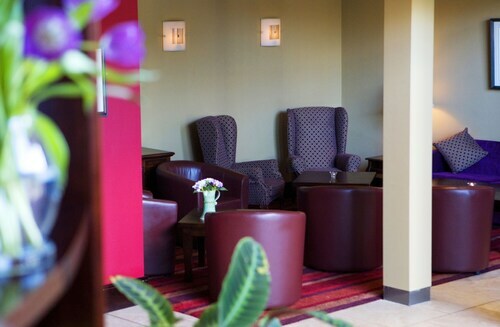 This family-friendly Wexford hotel is within a 5-minute walk of Selskar Abbey, Wexford Opera House and Westgate Tower. Wexford General Hospital is 1 mi (1.6 km) away. Wexford Station is only a 5-minute walk. 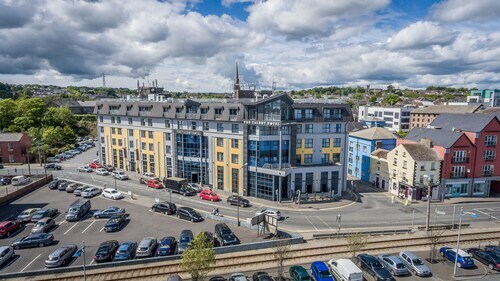 This family-friendly Wexford hotel is within a 15-minute walk of Wexford Opera House, Selskar Abbey and Westgate Tower. Wexford General Hospital is 1.4 mi (2.2 km) away. Wexford Station is 13 minutes by foot. 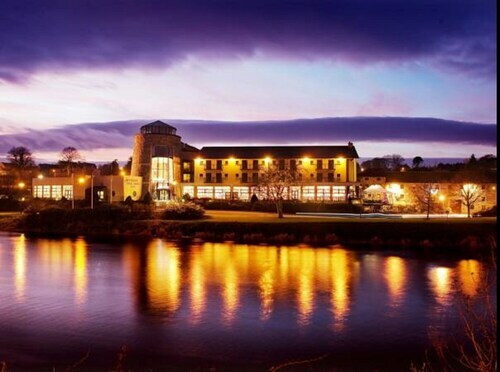 This family-friendly Enniscorthy hotel is located on the riverfront, within 2 mi (3 km) of National 1798 Centre and Enniscorthy Golf Club. Ferns Castle and Secret Valley Wildlife Park are also within 12 mi (20 km). Enniscorthy Station is 12 minutes by foot. 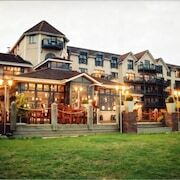 This family-friendly Ferrycarrig hotel is located on the riverfront, within 3 mi (5 km) of Irish National Heritage Park, Wexford General Hospital and Westgate Tower. Selskar Abbey and Wexford Opera House are also within 3 miles (5 km). 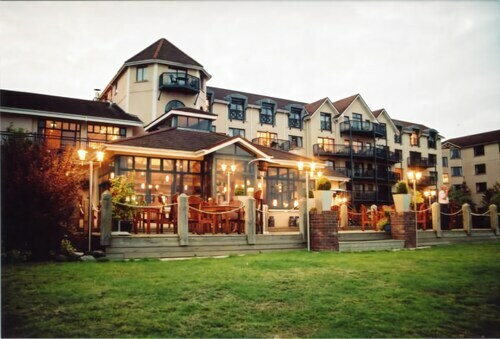 This family-friendly Wexford hotel is located in the suburbs, within 2 mi (3 km) of Irish National Heritage Park and Wexford General Hospital. Westgate Tower and Selskar Abbey are also within 3 miles (5 km). 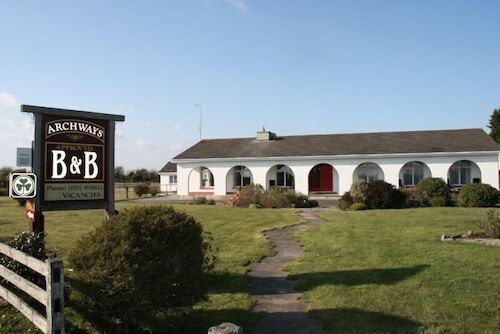 Situated in a rural location, this agritourism property is 2.6 mi (4.2 km) from Irish Agricultural Museum and within 6 miles (10 km) of Wexford Opera House and Selskar Abbey. Westgate Tower and Irish National Heritage Park are also within 9 miles (15 km). 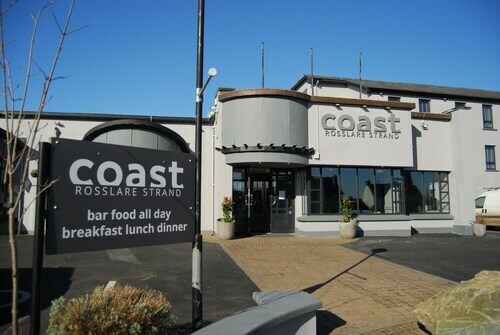 Situated in Wexford, this hotel is within 3 mi (5 km) of Wexford Opera House, Selskar Abbey and Westgate Tower. Irish Agricultural Museum and Rosslare Europort are also within 12 mi (20 km). 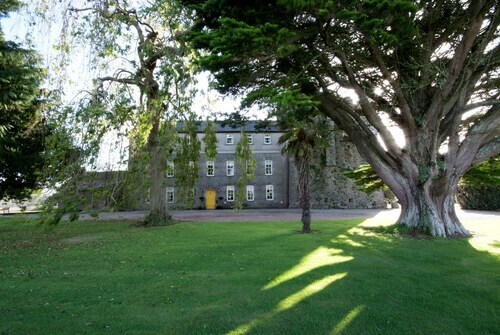 Situated in a rural location, this castle is within 6 miles (10 km) of Enniscorthy Golf Club, National 1798 Centre and Wexford County Museum. Secret Valley Wildlife Park and Ferns Castle are also within 12 miles (20 km). 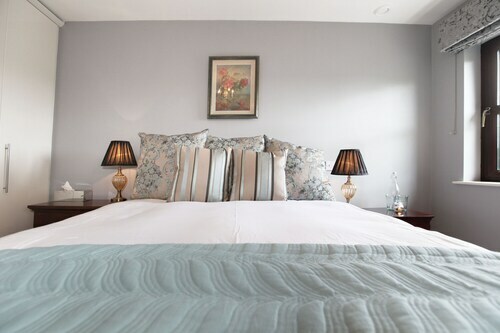 Located in the heart of Gorey, this historic hotel is 5.4 mi (8.7 km) from Craanford Mills and within 12 miles (20 km) of Wells House & Gardens and Ferns Castle. Bridgewater Shopping Centre and Morriscastle Beach are also within 16 miles (25 km). Gorey Station is 23 minutes by foot. 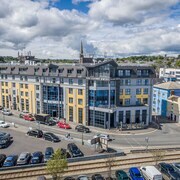 Affordable hotels in Wexford means more fun! Located in the south-east of Ireland, coastal Wexford is a great place for those craving some history, sea air, nature and stunning sandy beaches. There are plenty of accommodation options to choose from - Wexford hotels range from chic spas to cosy romantic boltholes and traditional B&Bs. The waterfront harbour area has some medium-range hotels, or for budget options, the Newtown area is a good bet. With prices ranging from a very reasonable €40 to an affordable €90 in low season, Wexford is also a very cost-effective holiday option. Sometimes referred to as The Sunny South-East, Wexford is located in one of Ireland's sunniest and driest parts, making it a fantastic destination for summertime beach fun and sea-side strolls into the sunset. With its temperate climate and plenty of sunshine, Wexford is a great destination for outdoor-loving travellers. 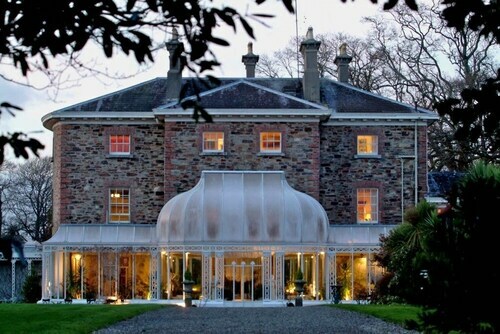 Many hotels in Wexford are conveniently located for making the most of the county's stunning countryside. Miles of sandy beaches and coastal walking routes are perfect for getting to know the county on foot. A kayak safari is a more unusual and definitely more fun way to explore the great outdoors in Wexford. If an active break is not what you are looking for, do not fret. On a beautiful sunny morning, what could be better than a costal drive, followed by a day of history and stately grandeur at the Johnstown castle. Take an afternoon tea here, surrounded by magnificent peacocks wandering around freely. And in the evening, head back to Wexford city to enjoy some fantastic local cuisine and music. With several excellent Wexford hotels located here, make the most of your night out without worrying about getting back. Go for a stroll along the Main Street and all the little alleyways and lanes nearby - they are packed with cosy pubs, quirky restaurants and fine-eating establishments. Spend an evening here, enjoying the buzz of the area, before heading to you hotel room. Staying in a city centre hotel is a great way to make the most of your trip. 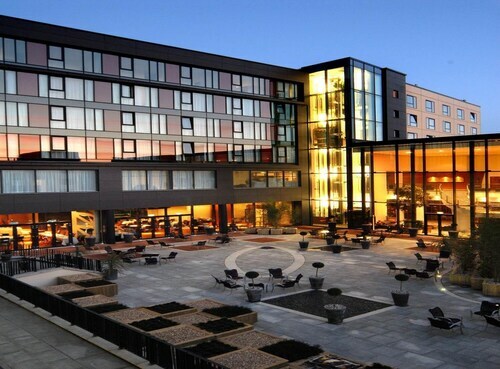 With many cheap hotels in Wexford, the convenience and the comfort needn't break your bank. And more savings means more fun! 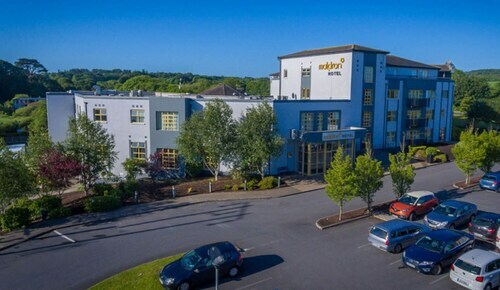 ebookers always have some great offers on many hotels in Wexford so explore the site and find your perfect Irish getaway deal. Staff at reception was on training. Some other staff have to be forced for smile. The reception area with the glass turret is gorgeous! And the view of the river is also great. Staff at reception and in the breakfast room most courteous and attentive. Adjacent parking with Talbot Hotel token is a great convenience. Interesting art collection on the walls. Very relaxed. Chris and Eileen make you feel genuinely welcome. Absolutely gorgeous first class. I definitely will be visiting there again soon. Nice hotel with great views. Excellent breakfast. Will definitely return again.